Thy Hand Hath Provided: Made by Pade Giveaway! Hello, friends! It's been quite a while since I've hosted a giveaway. I am so excited to host this one for a dear friend who I worked with many years ago. I'll let her introduce herself and tell you a little bit about her craft. See below for details on how to enter to win one of her awesome crossbody bags! Hi! My name is Patty Reali, and I have an Etsy shop named "Made by Pade." The name comes from a nickname I accrued in college - one of my roommates had a younger sister who was in first grade and wrote her a really cute letter. It read, "Howdy dude Torri (My roommate)! Hows life at the aprtmt (apartment) and how is it with Vike (Vicki - other roommate) and Pade (me!)?" To my college friends, I have been "Pade" ever since. So, when I started my Etsy site, this seemed the perfect name! In more recent years, I have made clothes for my children, sewn baby carriers (a life-saver! 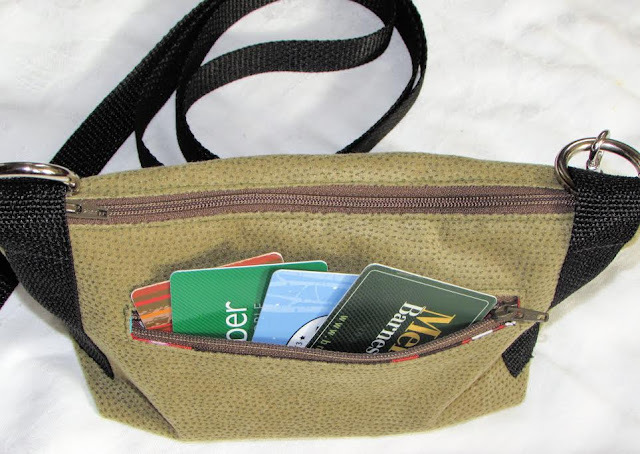 Any of you with young children who have never used a carrier of any kind should look into it), and made purses for myself and as gifts for friends and family. I have also recently taught myself to crochet, which is great fun, since I can do it any time and any place! 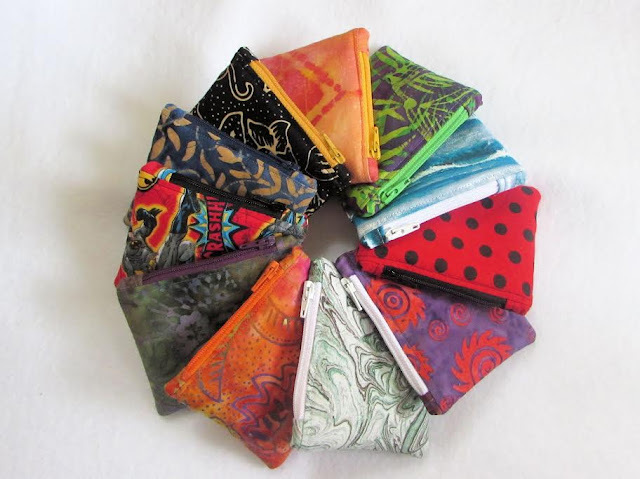 On my site, you will find a collection of purses, zipper pouches, hand crocheted shawls and scarves as well as several other hand-crafted items. I hope you enjoy checking them out, and one lucky winner will get to choose his or her favorite crossbody bag! you can just choose one of these for one entry:-). I (Jane) will randomly choose one winner sometime this coming Friday and announce it here. Make sure to leave your first name or initials so I can identify you as winner. If you win, you will need to email me so I can pass your contact information and crossbody bag choice to Patty. Happy entering! I love the denim and twill striped cross body! I've liked her Facebook page. 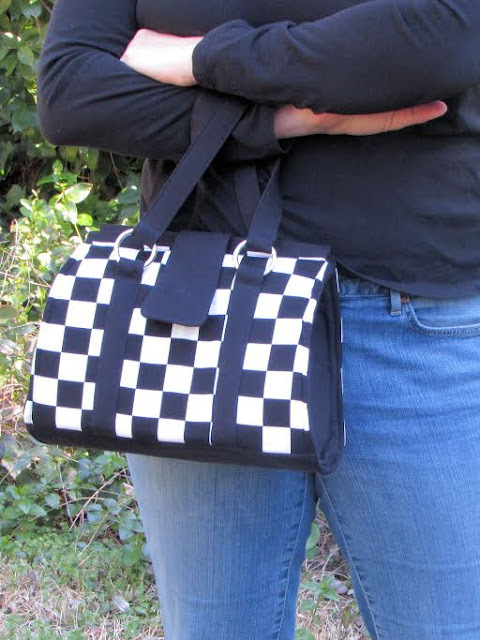 I love that Black and White Purse with Dandelion Pattern and Turquoise Lining! I like the checked doctors bag above! I also liked Patty's Facebook page. The 'Slip-Knot Purse' is my favorite. I like the Burgundy Brocade. Very pretty Pade. Liked Pade's FaceBook page. I love, love the dandelion print with turquoise lining purse! Thanks for a great giveaway!! From Carol Jean. Also Liked Made By Pade Facebook page. Woo hoo! Hi! Made By Pade here! 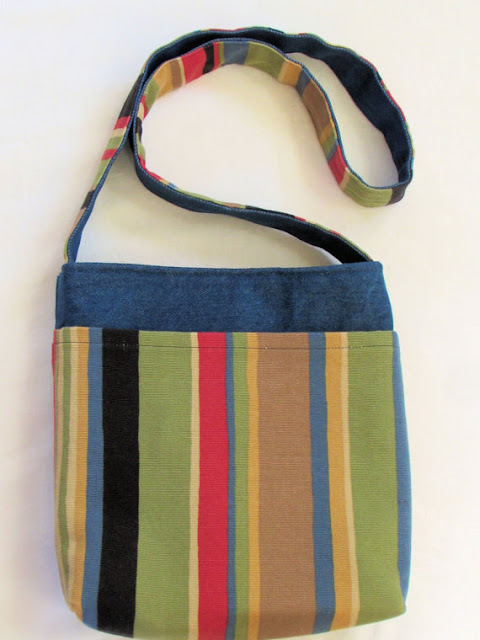 Just wanted to thank you all for your kind comments, but also to let you know that the Denim and striped twill is not a crossbody bag - it is more of a shoulder bag. If you are quite petite, it may work crossbody, but otherwise not. Thanks again for all of your comments! Looking forward to who will be the winner! I liked the denim and twill striped purse. Oh I just read the above comment and that was the bag I chose but I would like a cross body purse so my next favorite was the small olive green crossover bag. I went to the website and I think my favorite is the Damask Crossbody bag. There are many cute ones to choose from! I also liked (and shared) her facebook page. I love the bright colors in the zippers and lining on the Small Light Denim Cross-body Bag With Adjustable Strap. Carmen M.
I checked out her Etsy page, cute stuff. The small olive cross-body bag is my favorite. Fingers crossed! I love the small white, yellow and black bag. The snowmen koozies are so adorable! I would love to have one of those! For the purses, I love the Small, Floral Cross Body Purse in Yellow, White and Black With Adjustable Strap! And I think the heart coin pouches are adorable and useful! I'm in love with the Bicycle Fabric Doctor's Bag/Purse/Tote, but not sure if it qualifies as a cross-body bag or not. Regardless, it's my fave for sure! The yellow and black cross body bag.